We’ve all heard that a glass of wine a day keeps the doctor away but just how factual is it? With the growing need to adopt a healthier lifestyle, drinking alcohol can leave us feeling guilty. Thankfully, emerging research continues to highlight the benefits that come from moderately consuming alcohol. In fact, consuming a glass of wine a day is one of the principles of the Blue Zones – areas around the world inhabited by centenarians. In regards to what exactly constitutes as moderate, women are advised to drink five ounces a day, which translates to one glass, and men can enjoy two glasses (1). Now that we’ve established the appropriate daily intake, read on to find out the potential benefits on your health by doing so. Resveratrol is an antioxidant found in wines and studies believe that it can help in your journey with weight management. According to one animal study published in the journal Obesity, mice that were fed a high-fat diet and resveratrol combo ending up gaining about 40% less weight. This may have occurred from resveratrol converting the bad fat from the diet into good fat. However, it is important to remember that wine has yet to be proven as a solid weight-loss tool. As we get older, we start to lose bone mass and our bones become more brittle. This can then increase the risk of osteoporosis, a bone disease that heightens the risk for fractures and broken bones. Aside from increasing your calcium intake by eating calcium-rich foods, drinking that glass of red wine can help to improve bone density. Wine contains silicon and this mineral has been linked to building new bones whilst preventing bone loss. Similar to bone mass, our cognitive function can decline as we age. This is why it’s important to engage in an activity that keeps our brains healthy as time goes on. 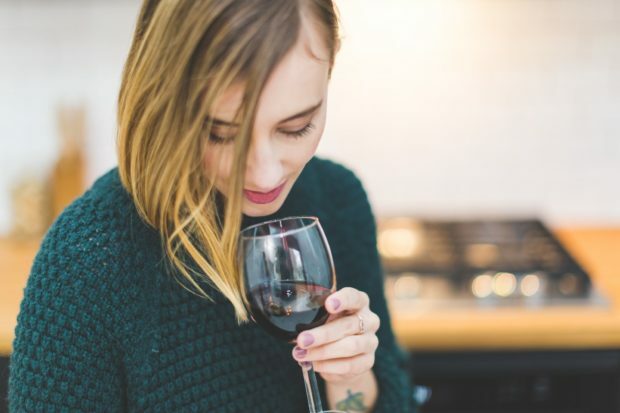 A glass of wine a day can be considered brain food as one study found that individuals who moderately consumed wine had a lower level of cognitive decline when compared to nondrinkers. 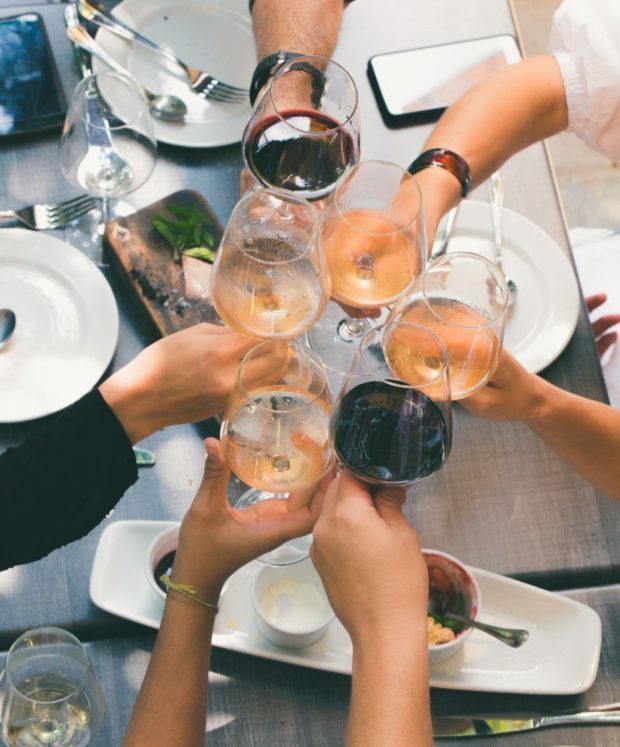 Another study found that moderate drinkers actually faced a smaller risk of developing neurodegenerative diseases like dementia. Excessive drinking can make your vision blurry but moderate drinking can clear it right up. Cataracts is a condition that causes blurred vision and it can lead to blindness. 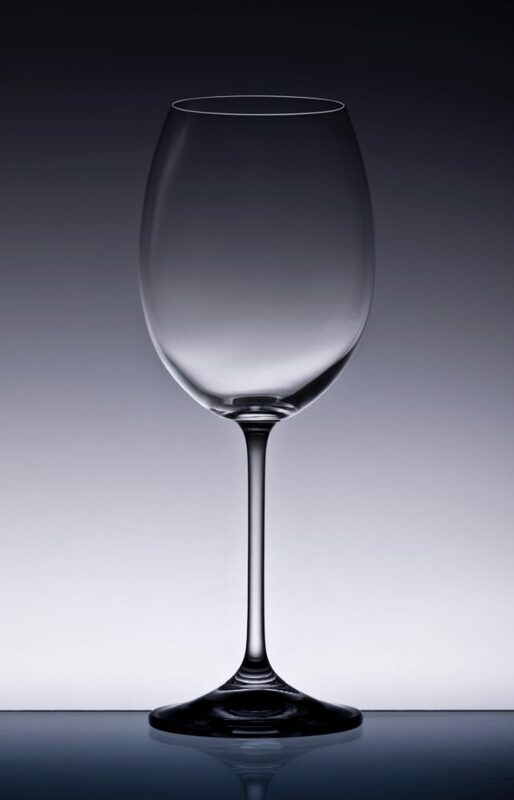 However, one study found that a glass of wine actually reduces the risk of one developing cataracts by 43%. Click here for more eye-healthy foods. Endorphins are the body’s neurotransmitters that help induce feelings of pleasure and relaxation. When one consumes a glass of wine, they’re often left feeling relieved, relaxed and happy. A glass of wine helps to trigger the release of the endorphins serotonin and dopamine. Adequate levels of serotonin and dopamine can help in lowering the risk of anxiety and depression. In fact, one study found a link between consuming two to seven glasses of wine a week and lower levels of depression. Alcohol abuse can increase the risk of various cancers. However, the antioxidant found in wine, resveratrol, does contain anti-cancer properties. 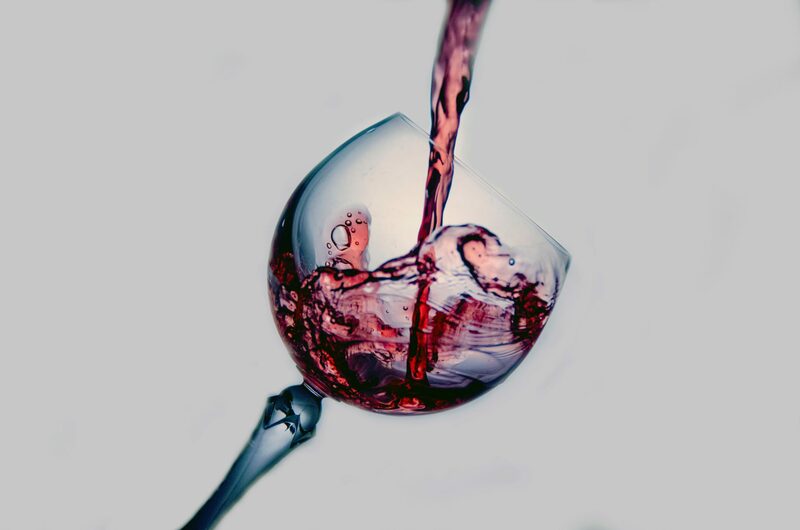 One study found that consuming a glass of wine every night halved the risk of ovarian cancer whilst another study from Harvard Medical School found that the risk for prostate cancer dropped by 52% for men who drank an average of four to seven glasses of red wine per week. Strokes can often be caused by blood clots, which form as a result of blocked arteries. Thankfully, wine can help to reduce the risk of stroke by acting as a blood thinner. Once wine enters the body, resveratrol helps to break up any blood clots it comes into contact with. Heart disease is the number one cause of death worldwide thus it is important to protect heart health. Red wine contains plenty of antioxidants that can help in preventing cardiovascular disease, so much so that the American Heart Association does support light drinking (2). The risk for heart disease includes high levels of bad cholesterol (LDL), high blood pressure and hypertension. In regards to cholesterol, levels of LDL cholesterol need to be low whilst levels of good cholesterol (HDL) can stay high. High blood pressure is also a risk factor for heart disease yet one study from Harvard revealed that the daily intake of a glass of wine can reduce the risk of a heart attack by 30%. With all the above-mentioned benefits, it should come as no surprise to learn that resveratrol can also help to prevent type 2 diabetes. Insulin resistance occurs when the body’s cells are unable to use insulin effectively, which then increase blood sugar levels. This then makes sensitivity to insulin a contributing factor to type 2 diabetes. Studies have revealed that there is a 30% lowered risk for moderate drinkers in developing type 2 diabetes (3). There’s a reason why inhabitants of the blue zone enjoy a glass of wine a day. Resveratrol actually contains anti-aging properties which allow for it to promote longevity and reduce the rate of mortality (4). While the above list does highlight the benefits of drinking a glass a day, there’s no need to pick up a bottle if you’re a non-drinker. While moderate drinking can be extremely beneficial, the benefits of red wine are rooted in the compound resveratrol. If you’re looking to enjoy the benefits of resveratrol compound, you won’t need to uncork a bottle in order to do so. Resveratrol can be found in a number of other foods that include grapes, blueberries, cranberries, and nuts.